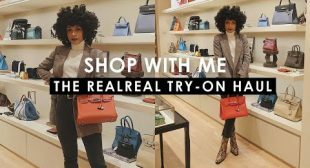 SHOP WITH ME at The RealReal!! + TRY ON HAUL! Video Editor: Final Cut Pro X ***For wardrobe styling, image consulting, personal shopping, product reviews, & all other business inquiries, please contact me at: thenotoriouskia@gmail.com.